adjective: able to adjust to new conditions or able to be modified for a new use or purpose. Adaptability is a to skill that many leaders need to be successful. It is not a secret. Listen to how Scott Hulihan of Hulihan Territory adapted to his customers’ needs to make his local business thrive in the Jacksonville market. Josh: Good Sunday morning, Jacksonville. My name is Josh McCarthy here with News 104.5 WOKV and I want to welcome you to another weekend of the Ask the Experts weekend. And this experts show is dedicated to the workforce of today and tomorrow. Josh: Pete “The Job Guy” Langlois introduces his listeners to Jacksonville’s most innovative companies and he explores the career journeys behind some of Jacksonville’s top influential individuals. Josh: And this is all done, all of it, with an honest and entertaining filter that is unique to Pete Langlois, the hard worker himself. Take it away, Pete. Pete: Good morning all you hard workers. Welcome to this Sunday. What a great day it is. I hope you got up, you drank a cup of coffee, you put the dogs out, not the cats, because you put the cats out, they don’t come back. You put the dogs out and you are ready right now to share an hour with me, Pete “The Job Guy” on this show, Hard Work-Ah. Pete: Now, if you’re like me and you’re old school, you grab a pen and a piece of paper, because you’re going to take down some notes today. And if you’re new school like my millennial co-host Arren, you get your thumbs ready and whatever hand-held device du jour you’re taking notes on and get those thumbs cranking out. Pete: And the notes you’re going to take are some of the things you’re going to do differently as a result of the time you spend listening to this show. Now, you can just sit there and be entertained. You’re probably going to laugh. You’re going to learn a few things, but it’s so much better that, if you write something down and do something differently as a result of the time we spend, because you didn’t just sit here and get entertained. You’re going to do something different, right? That’s what this show is about. Pete: I give career advice. I talk to you about some of the pitfalls that I’ve had, and some of my guests have had, to help you avoid them, circumvent them, go around them, so whatever happened to me that wasn’t so pleasant doesn’t happen to you. And I want to help you to be more effective and productive, mainly in your professional life, but if I can give you a tip or two to help you along the way in your personal life, too, then that’s fine. Pete: As I kick off every show with a story, I’m going to do the same doggone thing today. I’m going to tell you a little story. And this story’s about adaption, adapting, and adaption, okay? Now, some things require you to adapt to. Like a life change that you select, you have to adapt and I’m going to talk about what I mean by that in a second. You have to adapt to it, but you can’t really change it. Pete: Okay. I made a decision to join the Navy years back and I went from living this care-free lifestyle as a teenager up near Boston, Massachusetts and I joined the Navy and I had to adapt. It was a culture shock. I went from this guy that woke up and wherever the day takes me is where I end up to making sure when the Navy made sure I had to be where I was supposed to be at a certain time. Unquestioned reliability. I learned attention to detail. I had to change and adapt my whole life to that Navy lifestyle and I’m glad I did. It meant a lot for me to make some of those changes. Pete: If you go to a job change … Let’s say you take a new job and you’re looking for five out of five things … This is the criteria I have and if this new job meets this criteria, I’m going to take this new job. And let’s say one is compensation, one’s benefits, one’s proximity to my home and I don’t know [inaudible 00:03:27] career track at the company and let’s say one other thing. Pete: But then I look at the offer that comes to me and everything is right there. The stars have aligned for me, Pete “The Job Guy” this is my dream job, but it’s an extra 30 minutes each way every day. But everything else fell into place. It’s important for me, for my family. So, what do I do? I take the job, but now I have to adapt. It’s beyond my control. Pete: I have to adapt my schedule so that this works for me. Maybe that means I have to adapt by going to bed a little bit earlier and setting my alarm a little earlier each morning so that I get to work on time or I beat the traffic that could give me a headache. Or maybe I decide that I’m just going to get one of those CDs from Rosetta Stone and learn French on my drive each way. I don’t know, okay? But you adapt to certain things. Pete: Other things that require adaption are your customer demands. Sometimes there’s a seasonality to business. Let’s say I make widgets, but my widgets are much more in demand in the fall or maybe to the holiday season. Maybe I can’t just produce the same amount each year or I have to change my staffing levels to meet my customer’s demands. I have to adapt accordingly. Pete: And technology requires us to adapt. Yeah, I’m in the staffing business. Right now, if I got a client that says, “Pete, I need 100 temporary customer service employees to handle my call volume from now and through January”. Our typical way … And every time clients call me, they need everything yesterday. They don’t call and say, “Hey, I’m planning for three months out”. No, they say, “Pete, Monday I need 100 people,” right? Pete: So, what that means is my staff and I would work through the weekend and we make our calls. And we say, “Okay, you work nights, you work late”. But let’s say I had five dedicated recruiters making 150 calls each and they’re talking to all these people. Well, from an adaption standpoint, artificial intelligence has changed the game, okay? We had to adapt. What that means is, we purchased some artificial intelligence that, instead of just one call at a time reaching out to these people, you get through text and it looks like you are receiving … The bot text looks like it’s me texting to you. Pete: And it can respond accordingly. “Hey, are you available for a project coming up real quick? It’s Pete”. And the person says, “Yes” or “No,” “Tell me more”. Whatever that response is, the artificial intelligence knows and senses the response and changes the next text. And what would normally take us hours and hours, and days and maybe even a week to accomplish, artificial intelligence accelerates and in just a matter of minutes … It’s incredible. So, we had to adapt to technology. Pete: And they’re also, from an adaption standpoint, there are market and innovation disruptors out there and you just think, Block Buster was a little bit slow, right? They were a little bit slow to adapt, okay? But Netflix took advantage of it, snuck in and Block Buster was like, “Naw, we’ve cornered this market. People want to watch a movie, they go to Block Buster and rent it out”. Pete: My co-host Arren doesn’t even know what Block Buster is. She’s thinking I’m talking about a couple of bricks and Buster Brown shoes and that’s what she thinks a Block Buster is. She doesn’t realize that, that’s … If you wanted to watch a movie, you would go to Block Buster … If you want to watch it in your house and not go to a movie theater, you’d go to Block Buster and you’d rent out a VHS. Do you know what that is? I mean, for you that’s called a paper weight, right? A VHS cassette. Pete: Okay. Lies. All of it lies. Arren: No, I remember, because rewinding things. I would get so mad at our rewinder if it were broken and I used to sit there and hand spin to rewind. Pete: I didn’t even … No, I thought you would think a VHS cassette is a paper weight. Arren: I’m not that old. Pete: Okay. All right. But now, when I talk about innovation and disruption and the lack of adaptation, Block Buster stuck it out and said, “This is what we do. This is the way that people like … Got to give the people what they want”. Pete: Well, you know what people wanted? They wanted to watch movies in the home without going down the street to the Block Buster. What they wanted to do was get Netflix and live streaming and Netflix was the one that pioneered it. Pete: So, what I’m telling you, folks is, sometimes you might be so planned out and you know exactly what you want for your day, your week, your month, your years, but your customers tell you they want a little something different and you have to adapt to the customer’s needs. Pete: Now, I’m going to tell you a story. One thing, as a consumer, that you don’t do is you don’t adapt to the poor performance of the people that are supplying the goods and services to you. You won’t accept it. You want good quality service or good quality products. Pete: And I’m going to tell you a story and it’s going to lead into my guest today, okay? Years back, I lived over in Jacksonville Golf and Country Club and Arren, you can comment here in just a second. I lived in Jacksonville Golf and Country Club for 12 years and I always prided myself in having a beautiful lawn. Well, my sprinklers started to hose up and some spots weren’t getting reached properly and my lawn started to go downhill. Pete: So, what do I do? I ask my lawn guy, [John 00:08:59], “Do you have a referral?” And John, who does a great job taking care of my lawn, gave me a referral and the guy came out. He charged me an arm and a leg and replaced a sprinkler head and had some difficulty communicating to me exactly what he did do. But what he didn’t do was fix my problem. Pete: Right. So, I had another guy come out, another service, same thing. He came out. He spent half a day out there and he tried to explain to me all these things are good to go. No, it wasn’t good to go. It was bad and … I can adapt to a lot of things, but what I will not do as a consumer is adapt to poor performance or subpar anything. Arren: And write a Google review. Pete: Right. Right. And one of the things they say is, when you have a bad experience, you tell everybody, right? When you have a good experience, you keep it to yourself. I’m just the opposite way. I have a good experience, I want to tell you about it. Pete: So, continuing this story, I’m driving down the street. And I was going down Kernan Boulevard on my way back over to Jax Golf and Country and I’m mad as heck at the sprinkler guys. And … whoever they are, right? And I see this truck pass me. It says, “Hulihan Territory” and while I’m riding down the street, I see the truck and I’m like … And it says irrigation, wells, and it says … Oh, this is fantastic. Pete: While I’m driving … I know you don’t like to hear this … I was able to snap a picture at a red light, so I get the number down. Pete: It’s just unheard of, right? They show up on time. The guy … I tell him exactly what’s going on and he comes out. And literally, he spent maybe about three hours. And he changed out multiple heads, he reconfigured everything, explained to me exactly what he did and it was like, “Ah”. The sky opened up. The light shone down on the Langlois lawn and Hulihan Territory is the folks that fixed it. Pete: Now, you fast-forward. I moved from Jax Golf. I wanted to be on the water. I love the community at Jax Golf, but I wanted to be on the water. And Isle of Palms is a great neighborhood and that’s where I live now. Well, we bought it. We put in a pool there. Of course, when you put in a pool in the backyard, they rip up everything, including my irrigation system and all that. So, who do I call? Hulihan Territory, right? Arren: Who you going to call? Ghost Busters! Arren: Give them all the details on how to reach you. Pete: Right. I’ll tell everybody where I live. I don’t care. Come on after me. I’m a handful for you. Don’t come too close. Pete: And my guest today is Scott Hulihan of Hulihan Territory. Scott, welcome to Hard Work-Ah with Pete “The Job Guy”. Scott: Pete, thanks for having me. I really appreciate it. Pete: Yeah. And you heard me say … I mean, you’re sitting right next to me. I said a lot of good things about it and I mean it. Your service … And I’m telling you as a happy customer, you guys take care of me. Scott: Well, that’s great to hear, because as a service company, that’s what you want to do. You want to show up on time, and you want the customer to be happy. So, I’m glad you said those things. Pete: Right. Right. And I mean it. It’s heartfelt. Tell us a little bit about Hulihan Territory. What is the scope of services that you guys provide? Scott: So, years ago, when I first started, it was just strictly irrigation. 95% of my business was irrigation. And then, you’d get some good employees working for you and it would get September, work would fall off and then it was hard to get guys hours. Scott: So, 18 years ago, we started doing well drilling. Then we started doing landscape lights and then it led into drainage. And now we even do Christmas lights as part of our business. Pete: This fits the theme very well. Adapting. Scott: And we have a really good customer base and we’re in a certain area, so adding the different services … We had this great customer base and all we had to do is learn how to do something and do it well and then we provide that service to customers. So, a lot of it was existing customers we had that we just added a different service and so it all worked out good. Arren: Wow. That is really cool. Pete: Sometimes the outside of the house and say, “Oop, they got a well”. Pete: And what’s that about? Scott: So, I’ve had my well license now for 16 years and for the first 10 we drilled just shallow wells, but then I … A good friend of mine is Larry Williams who’s been drilling wells forever. He helped me get my license. I bought a deep well rig. We have two of them now. Scott: And so, six years ago we started drilling deep wells. So, a customer like yours, I could say, “Okay, Pete, for $1,500 we could do a shallow well for you, which you’ll have plenty of water. It’ll water your grass, but you’re probably going to get that staining on the stuff that you don’t want”. Pete: Does it have the sulfury smell too or no? Scott: Typically, a shallow well, you can smell the water, and it doesn’t have any odor to it. The deeper the well, the deeper the water, is usually where the sulfur gas comes in. It’s just a gas that’s released in the air. So, it’s nothing about water quality. It’s just the gas that’s being released. Scott: But now we have a deep well rig where we can drill you a well that the water’s as clean as what’s coming from the city, and you’re just not paying for it. So, it’s free water. Pete: Well, I can tell you, I know during the hot months where it’s not raining, I spend a lot of money. I’m on city and I spend a lot of money on keeping my lawn. Scott: I need to come over and talk to you. Scott: And we can put some Christmas lights up for you, too. Pete: Well, that’s what you said. You take your existing … I’m a happy, existing client, talk to me about that stuff, because I do need it. I think I’d be a good candidate for that. Pete: So, now if I’m considering a well, a shallow well, I might have some staining, but it’s going to save me a lot of money. It’s less expensive. The deeper the well, I’m not going to have the stains at all, right? Pete: How did you get into this business? Pete: Shout out to Bob. Scott: Shout out to Bob. So, during the summers, I used to cut grass and put in sprinklers. He had his own little business on the side, like teachers do. And so, for my sophomore, junior, and senior year in the summers, him and I … Well, heck, summers and during school. After school, after practice, we’d go do things, so … He taught me the business and then in ’88 when I graduated, I bought his equipment … bought the business from him. I mean, bought his equipment and his existing customer base. We had a few lawns we cut, so I bought that as I graduated and went to UNF, worked myself through school and here I am. Arren: Cool. And so, on the topic of adaptability, you started a business. You own it. It sounds like you’re managing it. You’re hiring people. So, it sounds like you adapt to a lot of different roles. Do you have any tips for people that want to start their own business? Scott: Well, I’ll tell you with this. Starting a long time ago, if I could tell somebody starting, it doesn’t come over night. You’re not going to just start a business … You’re going to start a business and you’re going to see your buddies, when you get out of college, put their suits on and go to the office … If you’re talking about my type of business. Arren: That’s a good quote. Scott: I was looking at other things. I’ve stayed with my business. No other job sets, but you look at other things and it takes you away from it. So, I would tell them to just stay focused. It doesn’t matter if you’re putting in sprinkler systems or laying sod. Whatever you’re doing, run it like a business. Stay focused and successful people that stay focused end up … That’s where it comes from. Pete: You see a lot of people start businesses, right? And all the good intentions in the world, “I’m going to do it”. But things lean out and it’s tough and there’s hiccups along the way. And that whole thing, winners never quit, quitters never win. A lot of people maybe go for the short-term rainbow not to stick to it, get gritty, push through, eat your ketchup sandwiches while you have to, but make it happen. It takes that perseverance and that commitment that when things get tough, and they will get tough, anybody that’s ever been an entrepreneur, you’re right there, you know it gets tough, but you got to persevere and push through it and believe in what you’re doing. Scott: They get tough just growing a business, but then the economy can change and you have some car payments, you got a building you’re paying on and what’s the first thing that they can get? It’s your paycheck. Your guys get paid. And so, I mean, it’s tough. Scott: Yeah. So, just make them aware of that. Arren: What would you say … because it sounds like it’s very difficult. What would you say is your number one motivation for staying in it for so long? Scott: Man. There’s two sides. So, when I first started … I’m a hands-on kind of guy. I have my irrigation license, well license. I have my low voltage license from the state. So, I love doing things. So, I first started, because I like to put in a sprinkler system and when I’m done with it … I like hard work. I like to turn it on and see it come on. Scott: When we started drilling wells, before I teach anybody, I had to learn myself. So, I like pulling up to a job with a big piece of equipment. When I’m done, you turn the pump on and water comes out of the ground. That’s what I really enjoy. Scott: The hard part is … Or the part for me, that’s the part I liked. The hard part, which my Dad taught me … My Dad used to joke around with me. He’s a German … He’s my stepdad, actually. German guy and he used to say, “The harder you work, the luckier you get”. And I’d show up to his house every day with my hands with PVC glue still on them and sunburned and he’s like, “Yeah”. Pete: That’s fantastic. I want to get it … This time of year, I’m right there with the Christmas lights. What kind of lights do you guys install? Scott: So, I was looking, coming on the show, this is the 16th year we’ve done Christmas lights. I was looking at a landscape magazine and out in Utah, there was a guy … Out in areas like that where they get snowed in, the landscape guys can’t do anything else, so they hang Christmas lights, right? Scott: And I said to myself, “Well, you could still do it here. I mean, people from up north come. They still want Christmas lights”. And so, I started that as a … just a keep the guys busy type deal and it’s really turned into a super-profitable busy time of year for us. Scott: Yeah. I mean, there’s a house that we did that we used to have … When we did the incandescent bulbs, we had to plug in, have outlets added in. Now you plug into two spots and the whole house is done. Scott: So, when we first started, I would sell you the lights. We would come back the next year and charge you a certain percentage to put them back up. Scott: And with our good customers, like I say, they’re all of our existing customers. So, I would go back the second year, put his lights back up, he’d pay me a portion of what we charged the first year, and then a week later, there’d be a string of lights out. And we’d be, “Well, okay. They’re your lights. We’ll come fix them, but there’s going to be a charge for it”. Pete: Right. A lot of people do, yeah. Scott: We provide a service. So, it’s a little bit less expensive, but we own the lights and we put them up, take them down, and then we just give you a discount the next year if you come back with us. Pete: I’m going up to the attic and it’s boxes and boxes and boxes. And I got to plug each one in, find … Why is this one not … ? Well, only half this string works or these … This one’s … Throw that one away and it’s the same thing every year and it’s hard. And I’m not getting any younger. I got to climb up on a ladder. I got to put the lights up and then I have the added glory of, when it’s all done, I get to reverse engineer all that. Arren: Then take it all down. Scott: That’s what we found with … So, I started this business without having a clue of what … I think we spent $20,000 on product that was being shipped to us without one job. And this was 16 years ago, so it was like a, “Oh, my goodness. I guess we’re all-in on this one”. Scott: But that’s what I found out when we went to people and said, “Hey, it’s going to be this much to do it”. They were like, “Man, if I’d have known this five years ago, I’d have hired you guys five years ago”. Scott: And, I mean, we get so busy with it now … There’s only so much time … We’ve been putting them up now … We’ve had two crews putting them up for a week. We do entryways to subdivisions, commercial buildings and stuff. But we’ve already been doing it for two weeks, because there’s only a certain amount of time to get them up. If you don’t have them up by the first week in December, it’s not worthwhile for somebody to pay for them. Arren: You have to be adaptable. Pete: And that music right there tells us we got to take a break here at the bottom of the hour. Scott Hulihan, stay with me. I got a few more questions to ask you. And you, my friends, are listening to Hard Work-Ah with Pete “The Job Guy” on 104.5 FM. Pete: Welcome back all you hard workers and we are here for round two today of Hard Work-Ah with Pete “The Job Guy”. And I’m sitting here with Scott Hulihan of Hulihan Territory and I have a low spot in my yard where ponding becomes a little bit of an issue. I get rain. My drainage isn’t what it needs to be and it happens continually. And then I have a discoloration around there from when the water finally drains down and gets out of there. Is that something you guys can help with? Scott: Oh, in Florida that’s one of the things you had to add … I mean, it didn’t do it when we first started, but that was definitely something that we … Builders now when you do new construction, all the downspouts that builders are … I mean, code is you’re supposed to take them and take them to different areas and let the water off on your property. So, drainage has become … New homes and existing homes with drainage problems, but that’s a big part of our business. Exactly, yeah. Pete: I see a lot of that and I’ve had that. What’s a French drain? Scott: I mean, I got a bunch of stuff we can do over at Pete’s house. Pete: What is a French drain? I hear about them. What is it? Scott: Well, there are so many different … A French drain is just a catch-all phrase. There’s different meanings to different people, but what I think a French drain is, is just a perforated pipe that has rock or there’s new ones that have little plastic peanuts around it that is down in the ground and allows the water to saturate into it and then gravity feeds off to a low portion to take it. Pete: So, you do all types. You do new construction. You go fix somebody else’s mess. If anybody has a problem, you do it all, right? Scott: Yes. Exactly. So, the big part of our business is irrigation service. We have five trucks that do nothing but maintenance, but it’s on existing customers that we have. And so, we don’t do … I mean, there’s great … I have friends that do the new construction, like the Spec homes. And they do a bunch of them and they do well with it. That’s not our cup of tea. Scott: We do custom homes and we have builders that do … But in our area, that’s … These other subdivisions way out, they’re not in our scope of area. So, we’re developing relationships with the customers, so … Those other guys, when they’re done, you don’t know who put the sprinkler system in … When we’re done, the sticker goes on the timer, you know who to call when there’s a problem, because that’s our model. Pete: Yeah. And it’s a fantastic model, because I can’t remember the people that I used before Hulihan Territory. Pete: I can’t. If people are listening and they want to get a hold of you, they want to learn more about scope of services, can you give us your information? Scott: Yeah. So, it’s hulihanterritory.com, H-U-L-I-H-A-N territory.com. That’s our website. You can go there. The office is 904-285-8505. Anything you guys need, the service we provide, we’d love to talk to you about it. Pete: Good. Good. Now, I’m going to hit you with this one, okay? We talked a little bit about it earlier and up front, okay? Here you are. Future Scott. Right here. Scott Hulihan. You go back and you say to your 20 … You can give any advice to your 21-year-old self, any advice. What would you tell your 21-year-old self? Scott: You’re too short, not fast enough. You’re probably not going to make it in the NBA. That would have saved me a lot of hard work. Pete: Because you made a run for it, didn’t you? Scott: I made a run for it. Scott: Worked for 44 years. Worked for Mercedes Benz and he always said to me, “If I could have, coming from Germany, started my own business … ” He had friends that had their own business and, in his mind, that was just the best thing in the world. Scott: And so, I had him keeping me straight. But I would see friends selling real estate, driving a fancy car, wearing nice clothes to work and the grass is always greener. So, I would say, “If you’re going to do it and you want to have your own business, you need to stay focused. The straighter you stay, the more focused you are, the quicker you’ll get there”. Pete: Excellent. Scott Hulihan with Hulihan Territory, thank you very much for coming out and spending your Sunday morning with me, Pete “The Job Guy” on Hard Work-Ah. Thank you, Scott. Scott: Hey, Pete, Arren, I really appreciate you having me and it was nice talking to you guys. Pete: Yes and not only that, so did I. My family still talks like that. And my accent is way toned down. But I asked Danny, I said, “Danny, I want you to come on more. Maybe once a week and give us a little bit of a Boston update”. So, you know what? Here’s a special treat for you guys. Welcome to Hard Work-Ah with Pete “The Job Guy”. This is a little segment called Boston Danny. Danny: Hey, good morning Pete and Arren, Danny from Boston checking in with you guys. I guess you didn’t get enough of me last week, so here it goes. Bear with me. I’m still nursing a world series hangover, so anything can happen. Danny: I’m from a section of town, it’s called Dorchester, or as we like to call it, God’s Country, because everyone knows, if God drove a car, he’d get off at Exit 11 every night to get home. So, I got that going for me. Danny: But, it’s also home to one wicked cool gas tank and 1,000 tough guys, so … The gas tank is actually a mural painted on it by an artist named Corita Kent. It’s called the Rainbow Swash. It’s the largest copyrighted piece of art in the world and it’s considered one of the major landmarks of Boston, similar to the Citgo sign. Danny: But, like anything else in Boston, it comes with its own controversy. So, you might like to Google that, folks. Get the real story. Peter, you laughed at my accent. Yeah, I got one, but when you’re talking about things we say are particular to us, the local vernacular. One of them is your turn signal. Your directionals in your car. We like to call them blinkers as in, “Change your lane, use your blinker”. Danny: But around here, we like to drive a little bit on the offense and some people feel that using their blinker is like giving information to the enemy. So, drive at your own risk up here, folks. The public transportation is wonderful. Danny: So, up here in New England, the weather’s changing. It’s definitely getting chillier out. As we like to say in the construction trade, it’s perfect working weather. So, it’s like Goldilocks. Not too hot. Not too cold. Just right to get the job done. Danny: So, winter’s coming. We can feel it and everything else that goes along with that. So, we’re waiting for spring. Hoping it shows up. We like it when it changes and come on up and check it out. Danny: Pete, I’ll talk to you next week. Arren, take care. See you, brothers. Arren: True. I guess so. Pete: Uni name or whatever … Unisex name. Arren: Uni name? A uni name? Are we in Australia going to university? They call universities “unis” in Australia. Pete: And I just got back from Australia. I think we should have a little bit of an Arren update right now. Pete: For those of you that can’t tell that Arren is … Her vocal pattern has changed just a little bit. Arren, at the ripe old age of … What are you? 25? Pete: 25 years old. She just got braces put on. Arren: I did. I got braces put on. I should post a selfie right now. But you can’t see them. Pete: Yeah, because you did them on the inside of your teeth. Pete: Shout out to Dr. Rice. Arren: Yeah. He’s so awesome. They’re called “incognito braces” and actually, fun fact, George Clooney used to have incognito braces. Arren: Yeah. So, I’m basically famous. Pete: Famous by assimilation. But now, when they’re on the inside of your teeth, I can hear you … There’s a little bit of a lisp there. Arren: Sounds like a retainer, right? Pete: There’s a layer of peanut butter over the roof of your mouth or something. I don’t know what that is. Pete: Jack’s Facts? Or the jobs upstate? Which one? Arren: You need more coffee. Pete: Because I love doing this intro. Ladies and gentlemen, one of my favorite parts of the entire show is when the world famous Arren Mills gives us the Job’s Update. Arren: Hi, everyone. I’m Arren Mills and this is your J-O-B report. I’m so glad it’s back to your favorite spot now. Arren: Survey finds one in five employees give less than 10 minutes to a job application or two to three pages on a mobile device before dropping off. And the last finding, very important, nearly 10% of employees have left the company because of poor new hire experience. I’m Arren Mills and that’s your J-O-B report. Back to you, Pete. Pete: Very good. Very good. Now, a couple things I took out of that, okay? When supply and demand is not in your favor, you’re going to pay more, right? And when you hear that it’s getting harder for employers to find that good employee, that qualified employee, because they’re scarce. They’re all working right now. So, that drives the wages up. Pete: So, if you’re an employer right now and you’re looking to hire somebody, I strongly suggest you reach out to SNI Companies. You can go www.snicompanies.com. Here locally in the north Florida market you dial 904-713-2550. And you’ll talk to somebody. You’ll say, “Hey, you know what? I need a copy of the 2019 salary guide”. Why is that? Well, because you can’t hire an employee in 2019 and expect to pay them for certain categories what you paid in 2016, ’17, and ’18. Pete: Simply put, supply and demand has driven that higher. Compensation. You just heard it. You can’t dispute the facts. These are the facts. Hourly rates are going up as well as salaries. So, I strongly suggest you get a hold of your representative at SNI Companies. Or you could always reach out to me, pete@petethejobguy.com. If you dial 904-713-2550 you can ask for me. That’s where I sit every day with my team at SNI Companies. Pete: We’re a proud member of G-E-E group. You can look at our ticker symbol on the New York Stock Exchange. It’s J-O-B. Cleverly, cleverly thought out. Pete: This is job. Why would they name it anything else? It’s fantastic. Very smart. But we have a team of folks that can help guide you through the hiring process whether you’re a candidate that’s looking for another job, looking for that next step in your professional career. Maybe you might want to work a temp job. I have some folks that are in semi-retirement. A semi-retired CFO or controller and they like to come out and do jobs periodically and we have assignments for folks like that. Pete: If you’re a company in town or an employer in town and you need help … A lot of folks need seasonal help I’m seeing right now. Especially retailers and you need help with higher call volumes. So, you need customer service reps. And post-hurricane you have a lot of folks that need claims adjusters and all that other stuff. Pete: Listen, you just call SNI Companies. We’re here and we can help you whatever. Either side, if you’re looking for employees or temp employees, you call us, 904-713-2550. You reach out to me, pete@petethejobguy.com or just call me at that number. I’m happy to help. Or any one of our team, our army of recruiters will help you out. Pete: You got a fun Jack’s Fact this week or no? Arren: Contrary to popular belief, I do my work and I do. Pete: Oh, my gosh. You do have a Jack’s … ? Well, let me do your intro. Pete: And now, ladies and gentlemen, without any further ado, the world famous, Arren Mills with Jack’s Facts. Arren: Hi, everyone. This is Arren Mills and this is your Jack’s Facts. Jacksonville is named after Andrew Jackson. He’s most famous as the seventh US president. Almost as old as Pete. He was also the first military governor of the Florida territory. Jacksonville was also originally called Cow Ford, because of the cattle herded across the St. Johns River in the area. I’m Arren Mills and that’s your Jack’s Facts. Pete: I didn’t know that. I did not know Jacksonville was Cow Ford. Pete: We learn something new every day. Arren: Do you see any cows in Jacksonville at all? Pete: There used to be. Let me tell you. I came down here in 1984 and back when I … Let me tell you, if you haven’t been here that long, let me tell you a little bit about what Jacksonville looked like for me, coming down here from Boston. I came down and number one, it smelled. Smelled to high heaven. I mean, it was unbelievable. Pete: It was such a strong and pungent odor as soon as you landed at the airport. And it’s because there were the … I forget what the name of them … The treatment facilities on Amelia Island. Out there. Arren: Oh, the things that just got removed permanently? Pete: Not those ones. Those silo things were out … That was part of JEA, but I’m talking about a long time ago. You’re going back to 1984 when I came down. Somebody will email me what it is, but there were these pulp, wood pulp plants. And it was very, very strong and it was terrible and that’s how people knew. People would say, “Jacksonville, yeah. That place smells,” because it was that pungent. Pete: And especially a little bit north of Jacksonville. That’s number one. Pete: And number two, this whole Town Center and all that … Butler Boulevard, when I was here … I think you call it 202. Pete: Butler Boulevard was a two-lane toll road. So, you had east and west. Each one was one lane and it was toll booths set up along the way. Pete: Yup. And speaking of cows, the Town Center was a cow pasture. I mean, that’s all it was. Just wide open cow pasture on either side. So, there was no such thing as Gate Parkway, really. I mean, it just wasn’t really there. It was a little, small, little road. Pete: And then all of a sudden … Jacksonville has done a great thing of enticing businesses to come down here, right? And you think about Jacksonville. Jacksonville has access to a lot of colleges, a lot of college student … a lot of people entering the workforce. Pete: You have military bases and military folks transitioning out into the workforce. You could get good, solid labor here in Jacksonville and pay less than some of these other cities. Jacksonville did a real sweet job of enticing companies and through tax incentives and other things, to bring people here to the River City by the Sea. Pete: And one of the first big companies out in the Gate Parkway was Merrill Lynch. And I worked at Merrill Lynch, back in the day. As a matter of fact, that’s where I met Coach Larry back then. Pete: He was my boss. Yeah. And remember the picture? Wasn’t that a funny picture of us so many years ago? Arren: Yeah. We need to repost that one. Pete: But when I went into that Merrill Lynch building on Deer Lake Drive, I had to wear a hard hat. It wasn’t even finished being built. Pete: And think about what’s now Gate Parkway. I would come driving around, cow pasture, cow pasture, cow pasture, boom. There’s a Merrill Lynch building. Pete: There’s no Tinseltown and Buffalo Wild Wings. Arren: All those apartment complexes. Pete: No apartment … Those are cow pastures. Those are cows looking back at me. Not a building. There was nothing. Just that one lonely little Merrill Lynch building. And then all of a sudden they put a second one and you got Blue Cross over there. You got … Now every last inch over there … I don’t think there’s a postage stamp size piece of land that isn’t occupied by something right now, right? Pete: And every time you turn around there’s another … What’s over by III Forks? What do they call that? The Tapestry Park or something? Arren: Yeah. Availity [inaudible 00:42:06]. Pete: It is unbelievable. So, I have seen so much in just the time that I’ve been here. Arren: Aren’t you so proud? Pete: I am. And when I got here, it was still Jacksonville. It wasn’t Cow Ford. I mean, I’m not quite that old, but I’ve seen so much. Pete: And getting back to the theme of adapting, right? This whole thing. Wasn’t Scott fantastic? Pete: And it flowed so well, because I talked about, you control the things you can control and he’s adapted his business … Number one, he doesn’t want to lay off good people. He wants to keep them working. He wants to keep them employed and keep them on his staff, but he’s also doing this because he’s taking care of his customers. Pete: They’re already having a good experience with him and it all started with the sprinkler system and the irrigation. And then he’s thinking, “Well, how else can I take care of my customers? Why do I have to refer out wells? I’ll do wells”. And then he does the shallow wells and instead of referring out, doing the deep wells and the other stuff, he brings it on. Pete: Do you remember when Lieutenant Clements was on? Pete: And one of the messages that Lieutenant said is, nobody’s a self-made man, right? Pete: We all have other people that are somewhere that we’re learning from. They’re in our corner. There’s mentorship. He mentioned a guy, Larry, I believe his name was that … Scott did. Pete: That got him into the business. Arren: He mentioned a lot. Arren: Oh, yeah. I don’t remember his name. Pete: The deep drill. But it’s good, because it relates back to what Lieutenant told his 21-year-old self is, there are people along the journey that are going to help you. You have to be open and receptive to that advice and one of the things Lieutenant said was, the decisions you make today are going to affect all your future decisions as well. Pete: Yeah. So, I love how this is all intertwined. Here’s what I want. I want to get a clothing update from you, Arren, and are you still holding true to the 25? And what is the 25 for those people who haven’t heard? Arren: Sure. For those that don’t know, I have slimmed down my wardrobe to fit only 25 pieces of clothing. Now, this doesn’t include my athletic wear, my sleepwear or my shoes. Got to keep my shoes, but I’m getting there. Arren: And so, for every clothing that I take in, I have to take out another and I have to keep 25 at all times. So, that’s just my rule. There’s no real rules to it. They’re arbitrary, but I’ve made these for myself. Pete: I know you’re very passionate about this. Arren: Yeah. And so, they take these designs that a woman has made from like California or, I think, New York and they sew them together. So, when you buy the skirt, you’re buying an opportunity for women in Nepal who were saved from human trafficking. Arren: So, I have that skirt. The company is called Elegantees and they’re really awesome. Pete: This is what your college thesis was on, is that correct? Arren: I had to stop. Pete: The lack of humanity is unbelievable. Where people are human trafficked and it’s terrible. So, now tell us again, what’s the name of the tees? Elegantees? Arren: Elegantees. So, it’s elegant and the same “T” to start the “tee”. It’s elegant E-E. Elegant, tee, “S”. I can’t spell, everybody.  Pete: Guys, I want to remind everybody, if you want a Pete “The Job Guy” T-shirt to go to somebody that’s a hard worker … Let’s say the person next to you works a little bit harder, gets in a little bit earlier, stays in a little bit later, just goes above and beyond. Let’s say the person goes above and beyond. You send me a note and say, “Hey pete@petethejobguy.com. Arren, my coworker here is deserving of a T-shirt”. Pete: “She goes the extra mile and she did X”. The more you can be specific about what that person does, the more it helps me, because I’ll personally call that person and I will make sure that they get a Pete “The Job Guy” T-shirt. Pete: And if you haven’t seen them yet, they’re black and white. They have my logo and on the back of it, it says “Certified Hard Work-Ah”. And I don’t want anybody on that’s not representative of that, okay? You’re going to wear the shirt, you got to be a hard worker. And I want you to nominate somebody, because I have some shirts to give away. Pete: Arren, what’s coming in next that we … ? I know you just ordered our next bit of swag. Arren: Yay! I’m so excited. So, coffee season has hit us. Everybody is really excited about their pumpkin spice lattes. Wouldn’t it be awesome if Pete “The Job Guy” had something that can hold them? [crosstalk 00:47:24]. Pete: Oh, perhaps like a coffee tumbler? Arren: A travel mug. A coffee tumbler. Whatever you call it. You can take your coffee to go now. And I know a lot of stores like Starbucks, they have an incentive where, if you bring in a reusable mug they give you a certain number off. I think it’s 10%. Pete: So, why wouldn’t you get one of those nice stainless steel looking tumblers that has the Pete “The Job Guy” logo on it and it says one of my favorite phrases on the back, “Samson had his hair. I have my caffeine”? Pete: On today’s show. I want to thank our contributor up in Boston, Boston Danny in Dorchester. That’s great. And each week we’re going to have a little update from him. And he told us a little bit about our new word of the day, “blinker”. Our well trained and supervised workforce offers our customers the greatest expertise and best experience for a range of services. Located in Atlantic Beach, Hulihan Territory serves the beaches and the greater Jacksonville Florida area with irrigation system installation and repairs, maintenance programs, high-efficiency landscape lighting designs and installations, pump and well installations, as well as drainage solutions, repairs, and services. Hulihan Territory started as a family business in 1986, and 30 years later we still value the basic principles of making sure our family and friends get the quality service we are known for. Hulihan Territory is known throughout the beaches as the leader in quality work and customer care, and your choice for irrigation and landscape lighting services. Come to Hulihan Territory to find the best and most economical solutions to your landscaping needs. Website | Call Scott today for a free consultation on your home or business (904) 285-8505.